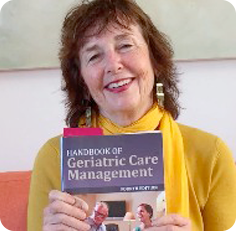 Do You Know Keys to Doing Caregiver Assessment with Other Cultures? What kind of care assessment do you do with a culturally diverse family caregiver? Family care providers must respond to the care recipient’s personal preferences for native language usage, ethnic food, media, service providers, and socialization are key. The care manager must ask preferences for all of these needs and if the family caregiver can fulfill those. Which language is preferred and used primarily in the client’s home. Does the family caregiver speak that? Some younger family caregivers from other cultures, growing up in America, primarily speak English. Food preference is important, particularly when working with an older client who comes from another culture. They are not often open to macaroni and cheese and hot dogs as in American elders. Does the family caregiver know how to prepare ethnic food preference? If they also work outside the home, do they have the time to do this? Does the elder prefer ethnic food on a daily basis (e.g., rice with every meal) or a variety of food choices? This can certainly create caregiver burden.Care providers and the client and family can be utterly frustrated if this is not assessed and delivered. Ethnic media is also important to both the client and care providers. Does the client prefer an ethnic newspaper or television/radio station? Does the elder prefer a provider from the same ethnic group? If so will the family care provider turn on this station each day and help get or even help read the newspaper the newspaper? Do they know the older person’s rituals? Chinese New Year is coming up. A few days before the Chinese New Year, some people will do a complete cleaning of the house and house, which signifies to remove the old and welcome the new. Will the family caregiver do this if it means much to the care receiver?? Americans wrap gifts and put up a Christmas tree. Do American caregivers do this to make elders feel apart of the ritual? The Chinese ritual on New Year is to give red packages ( Hongbao) Chinese New Year. Will the caregiver do this if they also have another job? It should not be assumed that the elder prefers a service provider from the same ethnicity—but for those who are less acculturated or monolingual non-English-speaking, this is frequently the case. Finally, does the ethnic elder prefer to socialize exclusively with others from the same ethnic group or does it matter? The most effective way to obtain this information is to ask the client. 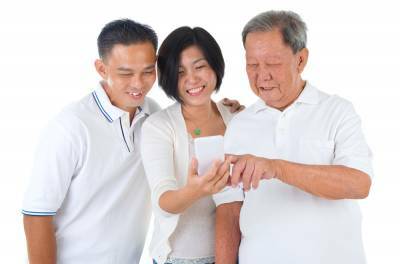 Although family members may be helpful in ascertaining this information, even close family members frequently make assumptions about an elder’s personal preferences that are not entirely accurate. The care provider can fail with a culturally diverse client if all these factors are no assessed and problem solved of by the care manager with the caregiver.